Save 50% on Amazon, today only! 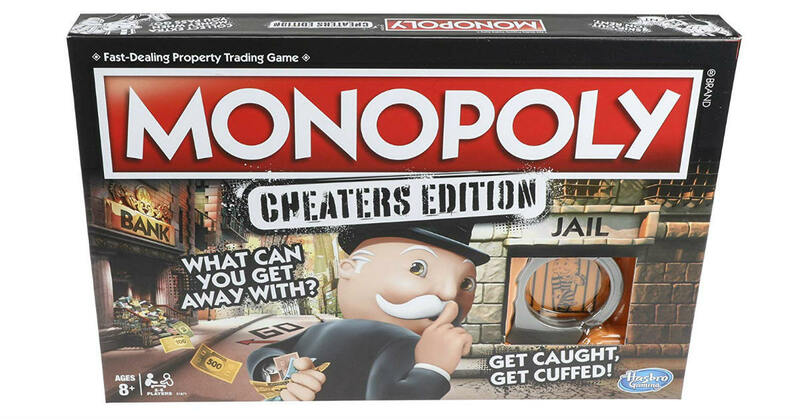 Hurry over to Amazon to snag Monopoly Game: Cheaters Edition for only $10.07, regularly $19.99. Follow, bend or break the rules to win the Cheaters Edition of the Monopoly board game. Cheating is part of the game. Prime members receive free shipping, otherwise free shipping starts at $25.